Again, only one this week. I really think publishers tend to lighten their load during summer so we can lazily read their spring offers and get ready for the fall. Though, being a teacher, I have more time to read during the summer (officially on break as of today – Yay!) so publishers should load up on summer releases. Hmmmm…..Anyway, I haven’t heard of this series until now, but that cover is amazing. Maybe I should add this series to my list? In two days, the race for the Sea Court throne will be over-but all the rules have changed. The sea witch, Nieve, has kidnapped Layla and is raising an army of mutant sea creatures to overthrow the crown. 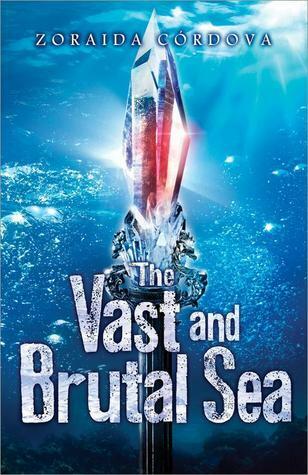 Kurt, the one person Tristan could depend on in the battle for the Sea King’s throne, has betrayed him. Now Kurt wants the throne for himself. Tristan has the Scepter of the Earth, but it’s not enough. He’ll have to travel to the mysterious, lost Isle of Tears and unleash the magic that first created the king’s powerful scepter. It’s a brutal race to the finish, and there can only be one winner. Yes, do it! It’s a lot of fun. Also, it’s always the best when you only start trilogies after all the books are out. No worries if you don’t like the first one, and no waiting if you do!